The digital marketing tactics every clinic should be using. Words by Karen Messit. Cosmetic and plastic surgery is becoming more and more commonplace in Australia and this means one thing for your practice: You need to stand out from your competition so your business can emerge as a key player in the industry. You may have had some fantastic marketing strategies in the past but with the digital age well and truly upon us you need to be responsive, agile and one step ahead of your prospective customers in terms of how they look for your services. It’s important that you are found first in search engines relative to a prospective patient’s geographic area and even more important that you respond to them first and convert them into a customer before your competitors do. Before you drive people to your website, ask yourself does it need a face lift and is it showing signs of ageing. If it is, you need to fix it first and have it looking fresh to ensure that prospective patients can easily find the information they are looking for. Once you have that sorted then you are ready for the great reveal. But first they need to find you…. The structure, design and content in your website plays a huge part in your customers finding out the latest and best practices you have on offer, and this is done through search engine optimisation (SEO). Search Marketing basically means your business comes up first when prospective customers type in certain keywords in Google and it can be done in two ways: SEO and Paid Search. SEO (search engine optimisation) basically means you ensure your website is structured in such a way that Google’s web crawlers can find you easily. The more relevant a page is to a certain topic, the higher Google will rank it so you can be found easier than other websites who don’t have so much information on the topic. This can be done through a number of tactics, but you need to do some research first before you define your SEO strategy. First, think like your customers. What are they typing into search engines when looking for your services. Is it one word (keyword) or is it a bunch of words (key phrases)? Find the ones your customers look for most and dedicate entire pages on your site where headings, subheadings, content and tagged pictures contain one of those keywords or key phrases. This is a first basic tactic and you’ll soon start seeing a difference. To get optimum results hire, an SEO specialist to set your website on the road to success. Paid Search is where you start getting really serious about being found by potential customers. You can pay Google for keywords or key phrases through its online buying system, Adwords. You can buy keywords based on your cosmetic practice location, but be mindful as your competitor on the same street may also want to buy the same keywords from Google and so you will then bid against them for it. Whoever pays more for a keyword in your geographic area gets the highest ranking and this surpasses organic search. Sometimes it’s better to see which keywords your competitors aren’t bidding for and set your website up to be found for these lesser searched keywords that a smaller percentage of customers look for. The upside is that you will be the only cosmetic practice they will find. Given you are a cosmetic or plastic surgery practice, your prospective patients will want to see before and after photos of your results. They also want to see the person who is going to be their doctor or specialist; they want to see you are real and that you know what you are talking about. After all, they are about to put their face or body in your capable hands. The camera never lies. Video is a great way to gain trust and show people what you are about. You can walk them through your practice, highlighting your accreditations and accolades on your walls, show before and after pictures of happy patients, talk your viewers through what happens during a specific procedure, and address key questions and concerns that a prospective patient may have. Once these videos are all produced and tailored for social or digital advertising purposes, you need to ensure the right people see them at the right time so they click to your website and give you a call to make an appointment. Use a specialist agency so that both video production and digital placement can be seamlessly managed to achieve the best response rate possible. right through to the end user experience. 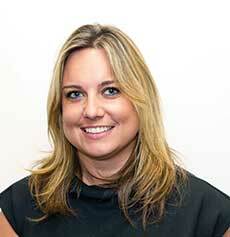 Karen Messitt is owner and Managing Director at Instigate, a digital-focused advertising agency. Instigate provides strategy, concept generation, creative, production and management of a campaign right through to execution in the marketplace. Karen alone has 23 years of experience creating award-winning and highly effective marketing campaigns with a real focus on ROI. Karen has developed award-winning digital advertising and sales promotion campaigns for a host of blue chip international brands across a range of industry sectors, some of which include Commonwealth Bank, Diageo, General Motors, Vodafone, Chevron Group, British Airways, The Hilton Hotel Group and Bayer. Start increasing your traffic today. Call Karen 02 9199 5640 or visit www.instigate.com.au.